We have long known about the destructive potential of hate-speech for society. Serious consequences are, in addition to the brutalization of the culture of discussion, the undermining of democracy. Hannes Ley, together with the 35,000 members of his Facebook group #ichbinh, is determinedly fighting hatred online. 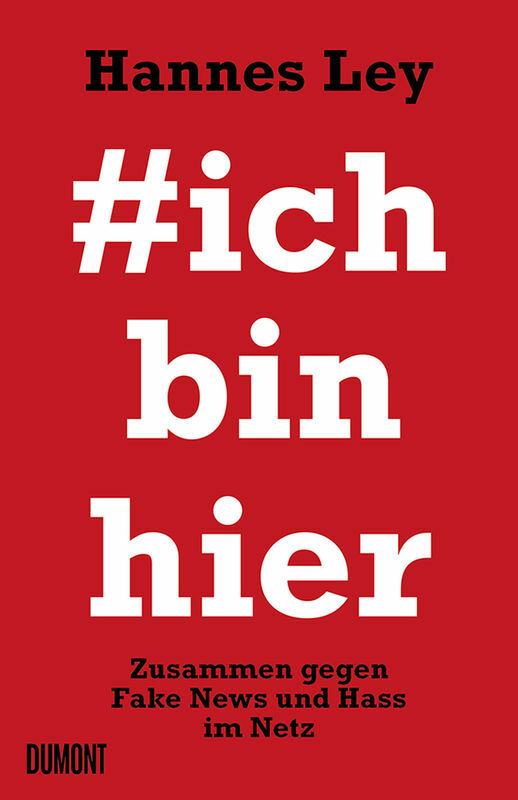 Whenever deliberate lies are spread and lowest instincts are addressed, #ichbinhier faces the tide and positions itself against hate speech. Unruffled, fact -orientated and without great emotions. For where fake news and hate speech come together, a potential unfolds that can divide society if it is not counteracted. With civil courage and mutual support committed citizens can make a difference - Hannes Ley shows how it can succeed.